 The Websites comprise all websites operated now and in the future by or for SRM and include, without limitation: srmurban.com, and all other SRM websites linked to these Terms now or in the future. Please carefully read these Terms before using any of the Websites or Services. By accessing or using each Website and Service, and, where prompted, clicking “I agree” or “Click to Consent,” you acknowledge that you have read, understood and agree to be bound by these Terms which form an agreement that is effective as if you had signed it. If at any time you do not agree to these Terms, please do not access or use the Website or any of the Services) or Content (as defined below in Section 4). You should note that these Terms contain additional disclaimers and limitations on SRM’s liability, which can be found in Sections 16 and 17 below, and indemnification by you, which can be found in Section 15. Please read these sections carefully and make sure that you understand and agree to them before continuing with your use of the Websites and Services. The Websites are directed to persons 18 years of age or older. SRM and the Websites do not knowingly collect information from or provide Services to children under age 18. If you are under age 13, you are not permitted to use the Websites or any Services therein, or to submit any personally identifiable information to the Websites. If you provide information to SRM through the Websites, or use any of the Services, you represent and warrant to SRM that you are 18 years of age or older. If you are 13 - 17 years of age, you may visit and browse the Websites, but you may not submit any personally identifiable information to the Websites or use the Services, and you represent and warrant to SRM that you have the permission of your parent or guardian to use the Websites and any Services, and your parent or guardian agrees to these Terms on your behalf. If you are a parent or guardian and believe SRM may have inadvertently collected personally identifiable information from your child under age 18, please notify SRM immediately by sending an email to management@srmurban.com including the specific Website or line of business to which your request pertains. The content available through the Websites , including, without limitation, text, graphics, logos, icons, images, media, data, audio, animation, videos, charts, maps, software and other information and materials (collectively, the “Content”) is the sole and exclusive property of SRM and/or its licensors, vendors or advertisers. You agree not to reproduce, duplicate, modify, copy, sell, resell or exploit for any commercial purpose, any portion of the Websites or the Content other than as expressly authorized by SRM in writing. Use of the Websites or the Content in any way not expressly permitted by these Terms is prohibited, and may be actionable under United States or international law. You agree not to access or use the Websites by any means other than through a standard web browser. You may not duplicate, publish, display, modify, distribute, perform, reproduce, copy, sell, resell, exploit, or create derivative works from any part of the Websites or the Content unless expressly authorized by SRM in writing. You agree that you will not remove, obscure, or modify any acknowledgements, credits or legal, intellectual property or proprietary notices, or marks, or logos contained on the Websites or in the Content. Some Websites may restrict access to certain Services offered on the Websites and require user registrations or the creation of user accounts to use such Services. You also may be able to create and login to an account using a name and password of a third-party account, such as Facebook, Twitter, YouTube, Vimeo or Google. SRM reserves the right to decline to activate an account for any person for any reason. In the event that you are required to select a username or password or use other login credentials to access any Services, you agree not to permit anyone else to use your username and password or other login credentials to access and use such Services. You agree that you are responsible for maintaining the confidentiality of your username and password or other login credentials and are fully responsible for all uses of your username and password or other login credentials and account, whether by you or others. You authorize SRM to act on instructions received through use of your username and password or other login credentials and agree that SRM is not liable for any loss or damage arising from your failure to comply with this Section. You agree to immediately notify SRM at management@srmurban.com of any unauthorized use of your username and password or other login credentials or any other breach of security. SRM may suspend or terminate your access to and use of any of the Services or Websites if it believes that such theft, use, access or breach, or any other breach of these Terms, has occurred. You agree that the following actions are prohibited and constitute a material breach of these Terms. This list is not meant to be exhaustive, and SRM reserves the right to determine what types of conduct it considers to be inappropriate use of the Websites or Services. In the case of inappropriate use, SRM or its designee may take such measures as it determines in its sole discretion. • Provide any information that is untrue, inaccurate, not current, misleading or incomplete. • Violate any local, state, national, or international laws, regulations, codes, or rules. • Violate any agreement, code of conduct or other guidelines which may be applicable to any particular Service. • Take any action that imposes an unreasonable or disproportionately large load on a Website’s infrastructure or otherwise in a manner that may adversely affect performance of the Website or restrict or inhibit any other user from using and enjoying the Services or the Websites. • Use any Website for unauthorized framing or linking, or via automated devices, bots, agents, scraping, scripts, intelligent search, tracking or any similar means of access to the Content or user information. • Aggregate, copy, duplicate, publish, or make available any of the Content to third parties outside the Websites in any manner. • Publish, post, upload, distribute or disseminate any inappropriate, profane, defamatory, infringing, obscene, indecent or unlawful topic, name, material, content, or information. • Upload or download files that contain software or other material protected by intellectual property laws or other laws, unless you own or control the rights, titles, or interests thereto or have received all necessary consents or rights. • Use any Website to make available unsolicited advertising or promotional materials, spam, pyramid schemes, chain letters, or similar forms of unauthorized advertising or solicitation. • Harvest, track or otherwise collect information about others, including email addresses and other personally identifiable information, without their consent. • Falsify or delete any author attributions, legal or other notices, or proprietary designations or labels of origin or source. • Engage in any other action that, in the judgment and sole discretion of SRM, exposes it or any third party to potential liability or detriment of any type. SRM may have Facebook, Twitter, Instagram, YouTube, Vimeo or other social media pages and accounts and the Websites may have classifieds, calendars, and/or other message or communication facilities that are designed to enable you and others to communicate with SRM and other users of the Websites (collectively, "Communication Services"). Any content, materials or views submitted, posted, shared, emailed, transmitted or otherwise made available by users through the Communication Services, including, without limitation, classifieds, testimonials and reviews (“Submissions”), are strictly those of the originating author, who is solely responsible for the submitted content. You acknowledge that your Submissions to the Communications Services may be or become available to others and that your use of or reliance on Submissions of others is entirely at your own risk. You agree only to post, send, and transmit Submissions that are proper, accurate, appropriate and related to the applicable Communication Service. SRM does not endorse any Submissions nor vouch for their reliability. Under no circumstances will SRM be liable in any way for any Submissions. You acknowledge that SRM may or may not pre-screen Submissions, but that it and its designees have the right (but not the obligation) in their sole discretion to pre-screen, refuse, edit, modify, delete and/or move any Submissions that are available via the Communications Services. Without limiting the foregoing, SRM and its designees have the right to remove any Submissions that violate these Terms or are otherwise objectionable in SRM’s sole discretion. SRM shall have no liability for such removal. By making a Submission, you represent and warrant that your Submission is true, your own original work, and does not infringe any other person’s or entity’s rights, and that you and any other person mentioned or shown in your Submission release any and all claims concerning SRM’s or its designees’ use, modification or distribution of the Submission or any part thereof. You must own all right, title, and interest, including copyright, to your Submission, and must hold all necessary releases concerning the contents of your Submission and consents and rights to post, distribute, or transmit your Submission. By making a Submission, you grant SRM and its licensees, assignees and designees an irrevocable, assignable, fully sub-licensable, perpetual, world-wide, royalty-free, fully paid-up, non-exclusive license, in their sole discretion, to use, distribute, reproduce, modify, combine, adapt, publish, translate, rent, lease, sell, publicly perform and publicly display your Submission (in whole or in part), along with your name or any part thereof and city/town/village of residency, in SRM’s discretion, on the Websites or elsewhere, and to use or incorporate all or any part of your Submission into other advertising, promotion, research, analysis or other materials in any format or medium now known or later developed. With respect to your Submissions, you hereby waive (i) any right to inspect SRM’s use of such Submissions; (ii) any right to receive compensation; and (iii) any claims based on privacy, publicity, defamation, misappropriation, intellectual property or similar claims. You may link another website to a Website subject to the following linking policy: (i) the appearance, position and other aspects of any link may not be such as to damage or dilute the reputation of SRM or the Website; (ii) the appearance, position and other attributes of the link may not create the false appearance that your site, business, organization or entity is sponsored by, endorsed by, affiliated with, or associated with SRM or the Website; (iii) when selected by a user, the link must display the Website on full-screen and not within a "frame" on the linking website; and (iv) SRM reserves the right to revoke its consent to the link at any time and in its sole discretion. You agree to take down the link if SRM revokes its consent. • All Content included in the Websites is the copyright and property of SRM or its content suppliers, licensors or vendors and protected by U.S. and international copyright laws. Permission is granted to electronically copy and print hard copy portions of the Websites for the sole purpose of using the Websites as a personal or internal resource or otherwise for its intended purposes. Any other use, including the reproduction, modification, distribution, transmission, republication, display or performance, of the Content of the Websites, is strictly prohibited. • The trademarks, service marks, logos, slogans, trade names and trade dress used on the Websites and Services are proprietary to SRM or its licensors or vendors. Unauthorized use of any trademark of SRM may be a violation of federal or state trademark laws. Any third party names or trademarks referenced in the Websites do not constitute or imply affiliation, endorsement or recommendation by SRM, or of SRM by the third parties. SRM reserves the right at any time and from time to time to modify, suspend, or discontinue, temporarily or permanently, the Websites, Services or Content, or any portion thereof, with or without notice. You agree that SRM will not be liable to you or to any third party for any modification, suspension, or discontinuance of any Website, Service or Content, or any portion thereof. SRM reserves the right, at its sole discretion, immediately and without notice, to suspend or terminate your access to the Websites, Services or any part thereof for any reason, including, without limitation, any breach by you of these Terms. You agree that SRM shall not be liable to you or any third party for any such suspension or termination. THE WEBSITES, SERVICES, COMMUNICATION SERVICES AND CONTENT AND OTHER ACTIVITIES OFFERED, CONTAINED IN, ACCESSED THROUGH OR ADVERTISED ON THE WEBSITES , INCLUDING, WITHOUT LIMITATION TEXT, VIDEO, GRAPHICS AND LINKS TO THIRD PARTY WEBSITES, ARE PROVIDED ON AN “AS IS” AND “AS AVAILABLE” BASIS WITHOUT WARRANTIES OF ANY KIND, WHETHER EXPRESS OR IMPLIED. TO THE MAXIMUM EXTENT PERMITTED BY LAW, THE SRMPARTIES DISCLAIM ALL REPRESENTATIONS AND WARRANTIES, EXPRESS OR IMPLIED, WITH RESPECT TO SUCH WEBSITES, SERVICES, COMMUNICATION SERVICES AND CONTENT AND OTHER ACTIVITIES OFFERED, CONTAINED IN, ACCESSED THROUGH OR ADVERTISED ON THE WEBSITES, INCLUDING, WITHOUT LIMITATION, WARRANTIES OF MERCHANTABILITY OR FITNESS FOR A PARTICULAR PURPOSE, TITLE, NON-INFRINGEMENT, FREEDOM FROM COMPUTER VIRUS AND IMPLIED WARRANTIES ARISING FROM COURSE OF DEALING OR COURSE OF PERFORMANCE. YOUR USE OF THE WEBSITES, SERVICES, COMMUNICATION SERVICES, THIRD PARTY WEBSTIES AND CONTENT IS ENTIRELY AT YOUR OWN RISK. TO THE MAXIMUM EXTENT PERMITTED BY LAW, THE SRM PARTIES DISCLAIM ALL LIABILITY, WHETHER BASED IN CONTRACT, TORT (INCLUDING, WITHOUT LIMITATION, NEGLIGENCE), STRICT LIABILITY OR ANY OTHER THEORY ARISING OUT OF OR IN CONNECTION WITH THE WEBSITES, SERVICES, COMMUNICATION SERVICES AND CONTENT, INCLUDING, WITHOUT LIMITATION, THE USE, INABILITY TO USE, AVAILABILITY, OR PERFORMANCE OF THE INFORMATION, CONTENT, SERVICES, PRODUCTS AND MATERIALS AVAILABLE FROM OR THROUGH THE WEBSITES, SERVICES, COMMUNICATION SERVICES AND THIRD PARTY WEBSITES. IN NO EVENT SHALL ANY OF THE SRM PARTIES BE LIABLE FOR ANY DIRECT, INDIRECT, SPECIAL, PUNITIVE, INCIDENTAL, EXEMPLARY OR CONSEQUENTIAL DAMAGES, EVEN IF ANY OF THESE ENTITIES HAVE BEEN PREVIOUSLY ADVISED OF THE POSSIBILITY OF SUCH DAMAGES. THESE LIMITATIONS SHALL APPLY NOTWITHSTANDING ANY FAILURE OF ESSENTIAL PURPOSE OR THE EXISTENCE OF ANY LIMITED REMEDY. WITHOUT LIMITING THE FOREGOING, THE MAXIMUM AGGREGATE LIABILITY OF THE SRM PARTIES ARISING OUT OF OR IN CONNECTION WITH THESE TERMS, THE WEBSITES, SERVICES, COMMUNICATIONS SERVICES, CONTENT, THIRD PARTY WEBSITES, OR ANY OTHER INFORMATION, MATERIALS, PRODUCTS OR SERVICES ON OR THROUGH THE WEBSITES SHALL NOT EXCEED FIFTY DOLLARS (U.S. $50.00). The name, address and telephone number of the provider of these Websites is SRM Urban, 7577 Mission Valley Road, San Diego, California 92108 and 619-501-3100. Complaints regarding any Website, Service or Content or requests to receive further information regarding use of the Websites, Services or Content may be submitted at the above address or sent to the following email address: management@srmurban.com. These Terms shall be governed by, and will be construed under, the laws of the State of California, U.S.A., without regard to choice of law principles. You irrevocably agree that the exclusive venue for any disputes arising between you and SRM out of, under, or in connection with these Terms, the Websites, the Services or the Content shall be the state and federal courts in San Diego County, California, U.S.A., which venue is the most convenient and appropriate for the resolution of disputes concerning these Terms. The Websites are controlled within the United States of America and directed to individuals residing in the United States. Those who choose to access the Websites from locations outside of the United States do so on their own initiative, and are responsible for compliance with local laws if and to the extent local laws are applicable.SRM does not represent that the Websites, Services or Content are appropriate outside the United States of America. SRM reserves the right to limit the availability of the Websites, Services and/or Content to any person, geographic area or jurisdiction at any time in its sole discretion. SRM shall not be liable for any delay or failure to perform resulting from causes outside its reasonable control or unforeseen circumstances such as acts of nature or God, fire, flood, earthquake, accidents, strikes, war, terrorism, governmental act, failure of or interruption in common carriers (including, without limitation, Internet service providers and web hosting providers) or utilities, or shortages of transportation facilities, fuel, energy, labor or materials. Please direct any questions you may have about these Terms, technical questions or problems with the Websites or Services, or comments or suggestions to SRM at management@srmurban.com or (619) 501-3100.